Deque is abbreviated as double-ended queue like a normal queue, can store the collection of objects. It is one of the collections class introduced in Java 6. Why deque is different from other collection classes? the answer is, in the deque, we can insert and deletes the objects from both starts, end of the collection. whereas normal collection inserts/deletes are happening at last only. Deque is interface introduced in java 6 java.util.collections package which implements java.util package. Deque interface extends java.util.Queue which in turns extends java.util.Collection, so we can insert/delete/iterate of all the objects that collections provides. Deque is an interface so you can not create an object, Deque is implemented by two classes ArrayDequeand LinkedList. ArrayQueue is just like array list implementation of the queue, LinkedList is the implementation of the double linked list. So you got the basic idea on ArrayQueue, When I am learning Deque, the ArrayList class came into my mind, and immediately question came into my mind, what is the difference between ArrayQueue and ArrayList?.When to use ArrayList and ArrayQueue?. Answers to these questions are found in my below table. The following table contains basic methods that are used in our applications. 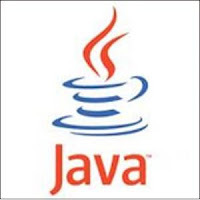 Let us go through a various example of Dequa class in java. 1. How to add elements to Queue? addLast() method adds the elements end of the list. offer() version of methods also do the same as like add() version of methods. but the difference is if the deque is a fixed size of the collection, we can use Offer version of methods. deque provides the following methods to remove elements. remove the version of methods also do the same thing like poll() methods except it throws NoSuchElementException if the collection is empty. there is one more method i.e pop() which deletes an element from the queue, returns deleted element. Please share your comments if you like this posts.